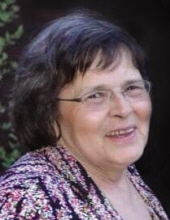 Cheryl Diane Beighley, 71, of the town of Cleveland, Chippewa County, passed away peacefully on Friday, January 11, 2019, at her home surrounded by her husband and her children. She was born the daughter of Allen E. “Pat” and Laura Hoel on January 17, 1947 at St. Joseph’s Hospital in Chippewa Falls. Cheryl attended elementary school in the town of Cleveland and graduated from Cornell High School in 1965. She married her husband of 50 years Mike Beighley on January 11, 1969, in Cornell and other than a short stint in Altoona as well as moving “to town” during the secondary school timeframes of her children, Cheryl proudly lived her entire life within a mile of her childhood home. Cheryl served as the Town Treasurer in the mid 1970’s, worked in the banking industry and, later in life, thoroughly enjoyed working with the children of the after-school program prior to her retirement. Cheryl was always more than willing to lend an ear or a shoulder to anyone in need. She loved her brothers and sisters a great deal and was very proud when she spoke of them. Her true passion, however, was her children and even more importantly, her grandchildren Mykayla, Kensie, Luke and Jake and her “new” great granddaughter Josie Diane. She simply loved them all more than words can say and would do anything to make them happy or ease any pain they might feel. Survivors include: Her husband Mike Beighley of the Town of Cleveland; her children, Mike (Shannon) Beighley of Pigeon Falls and Sherry (Dan) Bjerke of Strum; her grandchildren Mykalya (Jonathan) Sygulla of Osseo, Mykensie Beighley and Luke Beighley of Pigeon Falls, and Jake Bjerke of Strum; her precious great granddaughter Josie Diane Sygulla of Osseo; three brothers Thomas Hoel of Altoona, Bill (Barb) Hoel of Germantown, Tenn., David Hoel of Cornell; two sisters Suzanne (Bruce) Hartzell and Mary (Mark Robarge) both of Cornell; and many nieces, nephews and cousins. Cheryl was preceded in death by her parents and two brothers, Allen A. and Raymond Hoel as well her mother-in-law Dorothy and father-in-law Leonard Beighley. A memorial service for Cheryl will be at 11 a.m.on Friday, January 18, 2019 at the Borton-Leiser Funeral Home in Cornell. Burial will be in the Town of Cleveland Cemetery at a later date. Friends may call from 5 to 8 p.m. on Thursday, January 17 and also one hour prior to services on Friday at the Funeral Home. To send flowers or a remembrance gift to the family of Cheryl D. Beighley, please visit our Tribute Store. "Email Address" would like to share the life celebration of Cheryl D. Beighley. Click on the "link" to go to share a favorite memory or leave a condolence message for the family.